Born in 1961 in Taiyuan, now lives and works in Beijing, China. Lin Tianmiao studied in the Fine Art department of Capital Normal University, Beijing, in 1984, before then travelling to the US to live there in 1988. After graduating from the Art Students League in New York in 1989, she worked as a designer in New York for nearly seven years. In 1995, Lin Tianmiao returned to China from New York. Presenting The Temptation of St. Teresa, The Proliferation of Thread Winding, Pants, Trees, among others in an open studio, she thus laid out the important positions of her engagement in experimental art. It was also during this time, where she became known as one of the first Chinese female artists to gain international recognition. During the 1990s, when “apartment art” was a phenomenon in Beijing and Shanghai, Lin gained a great deal of experience. Lin’s early works are known for her practice of thread-binding where she binds the material—usually silk, hair, cotton, or felt—tightly around found or manufactured objects. Initially tasked by her mother to spool cotton as a young girl, Lin later reclaimed this act. Lin’s work can be regarded as a study into her own social role and the relationship between identity and social context, exploring questions related to female identity. In 1998, Lin and Wang Gongxin created the Loft Media Center. She had been responsible for everything, from infrastructure and interior decoration, to the design, supervision, equipment management, and its organization, etc. This laid the foundation for the hosting of hundreds of cultural events in the future. In 2012, the Asia Society Museum in New York presented Bound Unbound, the artist’s first major solo museum exhibition in the US. She has participated in the Istanbul Biennale, Turkey (1997); Shanghai Biennale, China (2002); Ireland Biennale (2002); Gwangju Biennale, South Korea (2002, 2004); and the Setouchi Triennale, Japan (2016). In 2015, Lin had a solo show as a departure away from themes connected to feminity entitled “1.62M” which was held in HOW Art Museum. 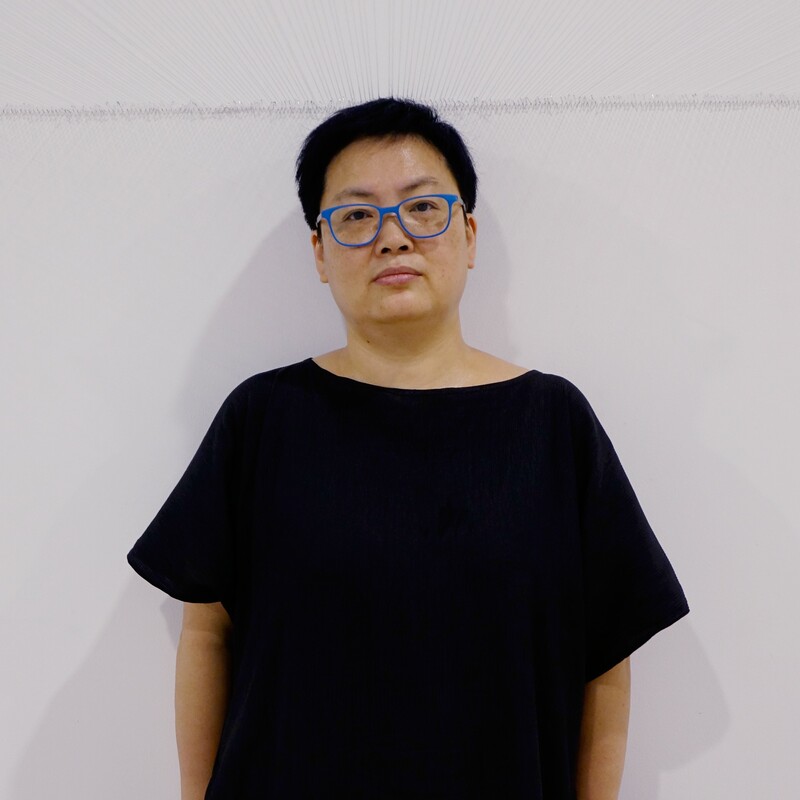 In recent years, Lin has departed from her initial concerns of feminism to openly work with large-scale installation, sculpture, photography, video and various other media practices.